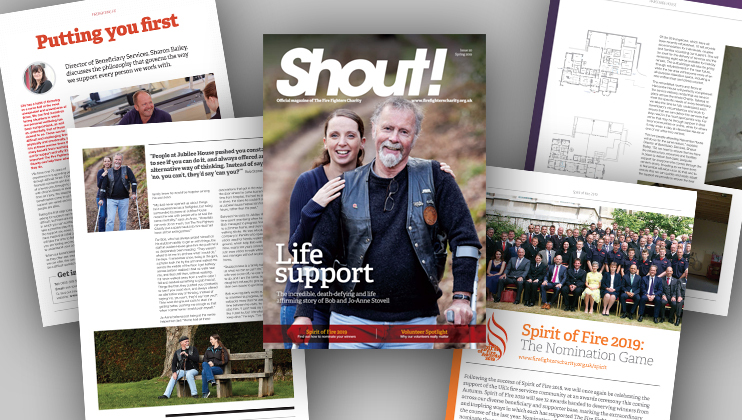 The Spring issue of Shout! 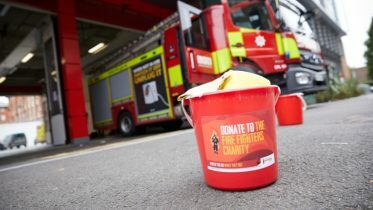 magazine is out now, jam packed with news, features and updates from The Fire Fighters Charity. Our cover stars this issue are father and daughter Bob and Jo Stovell. Just one year into his retirement from the fire service, Bob was involved in a catastrophic motorcycle accident that killed his wife and left him fighting for his life in hospital. Bob and Jo tell us how we supported them in the years that followed and how they’re saying thank you to the Charity that made such a difference to their family’s lives. 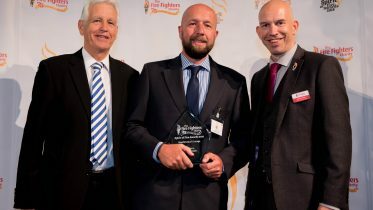 Nominations are now open for this year’s Spirit of Fire awards, where those wonderful members of the fire and rescue service, their families, and the general public are recognised for their incredible efforts in supporting the Charity. You have until 31 May to cast your nomination for the person you’d like to see recognised at our awards ceremony in the autumn, and there are 12 categories to choose from. Bringing you an insight into the workings behind the scenes at the Charity, Income Generation and Engagement Manager Kate Griffiths and Copywriter Sophie Pierce talk about why they love their roles, and we sit down for a chat on all things volunteering with Natasha Mason and Kate Harrison. Refurbishment works continue at Harcombe House, preparing the Grade II listed property for the next chapter in its history, so we bring you some sneak peaks from the building works and find out more about the vision for its completion. With only a few weeks to go until the Virgin Money London Marathon 2019, so we catch up with those amazing people who are running it to raise funds for us, to hear how their training has been going and what their reasons are for taking part in this world-famous run. Our clinical experts also share some of their expertise, with Director of Beneficiary Services Sharon Bailey explaining the philosophy that governs our approach to recovery, and Marine Court Physiotherapist Tom Stone separates fact from fiction when it comes to back pain.Nursing Services Lead Kath Savage explains why cervical screenings are so important for women’s health, and Exercise Therapists Kirsty Gladdis and Craig Williamson share the important role protein plays in our lives. And former chair of the Charity Ken Seager explains why volunteering to run one of our Living Well Groups and help retired fire personnel continue to network provided the perfect way for him to remain connected to the Charity he is so passionate about. For all this and more, pick up a copy of Shout! or check out our online version above. Everything you need to know about this year's Spirit of Fire awards, including how to nominate people you think deserve to win. Hear from other beneficiaries, like Bob and Jo, who have benefited from our help with their mental, physical and social wellbeing. By signing up to become a regular donor, you will help us reach more members of the fire community in need.